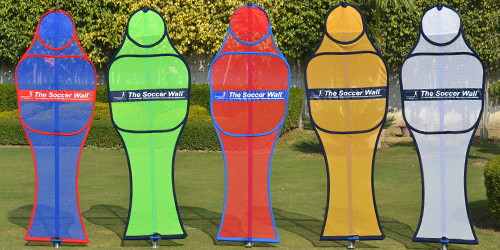 The Soccer Wall is an innovative patented product developed by Soccer Innovations USA & distributed by us. 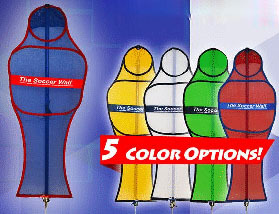 It’s a pop up style dummy which can be folded into a small size to fit into a kit bag unlike the big plastic dummies.Comes with reinforced heavy duty pole which is unbreakable & can take lot of beating. It can be branded with your logo across the chest & can be produced in any colour. Its being used by lot of clubs worldwide. Soccer Mannequin for Freekicks,Technique and Tactial Traning. Converts to 5 Additional Products.